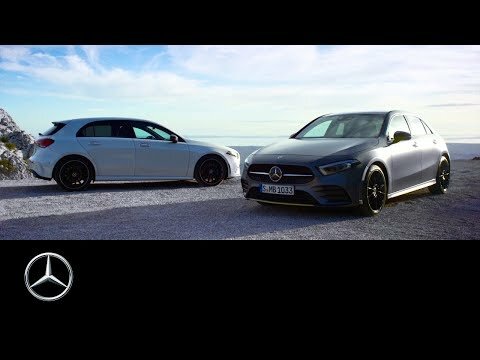 The new Mercedes-Benz A-Class features a world leading technological enhancement - the Mercedes-Benz User Experience - MBUX. As the driver of this exciting new model, YOU are the focus of MBUX, and the ability of the system to 'learn' thanks to artificial intelligence. A high resolution touchscreen operation, and navigation display that includes augmented reality technology and natural speech recognition is activated by the keywords, 'Hey, Mercedes'. MBUX has redefined modern luxury in the compact class. The highlight of MBUX in the new Mercedes-Benz A-Class is the comprehensive touch operation concept – the combination of a touchscreen, touchpad on the centre console and Touch-Control buttons in the steering wheel.